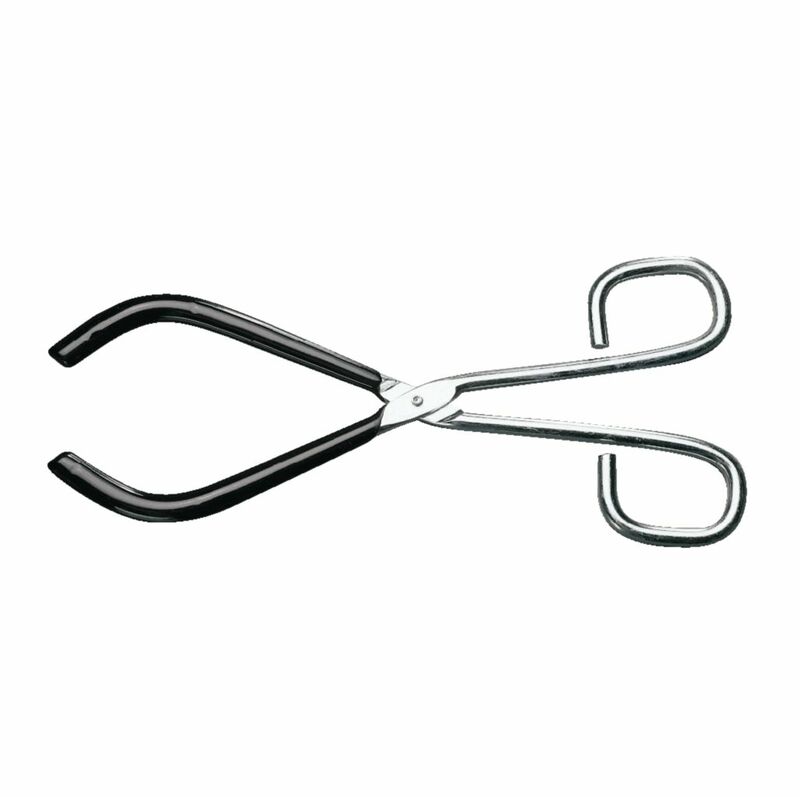 These long-lasting beaker tongs are made of nickel-plated steel. The maximum jaw spread is 18 cm, and the overall length is 23 cm. 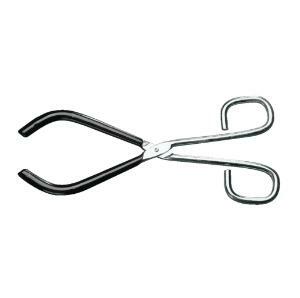 The tongs are 6 mm (¼”) thick and hold up to 2000 mL beakers.